As life-changing events go, this week will be hard to beat. 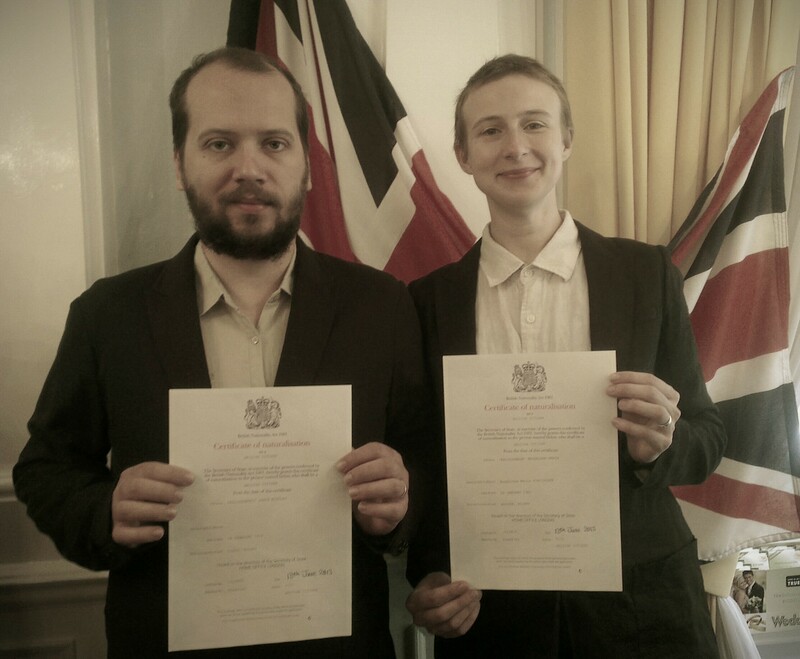 Yesterday, we – me and my wife – have become British citizens. Today, we become officially unemployed. And as of tomorrow, we are technically homeless. This is the realization of a careful plan years in the making, but that didn’t stop things from turning hectic right at the end – as you can tell from the tight schedule of these last few days. We’ve managed to run short or cash, time and energy. But there’s only one hurdle left to go over. Tomorrow we board the campervan and drive south from London. We have the first campsite booked – after that, we improvise in the general Westerly direction. This is what we plan our life to be for the next few years. There’s more to it, but we’ll see how it goes. One thing’s for certain – we don’t want to go back to an office job, or work for anyone else for as long as possible. For a while, my writing income and rent will suffice, after that we’ll have to come up with other ways to sustain ourselves. Where we’ll end up in six years time? No idea. But then, six years ago I would never have guessed I will be a best-selling Amazon author driving around the UK in a VW campervan, with a British passport in my pocket. We’ll be keeping a blog of the journey over on A Different Green blog – go there to subscribe right now. I will keep this blog up too, of course, and it will be as unfocused as usual (though updated a bit less frequently).